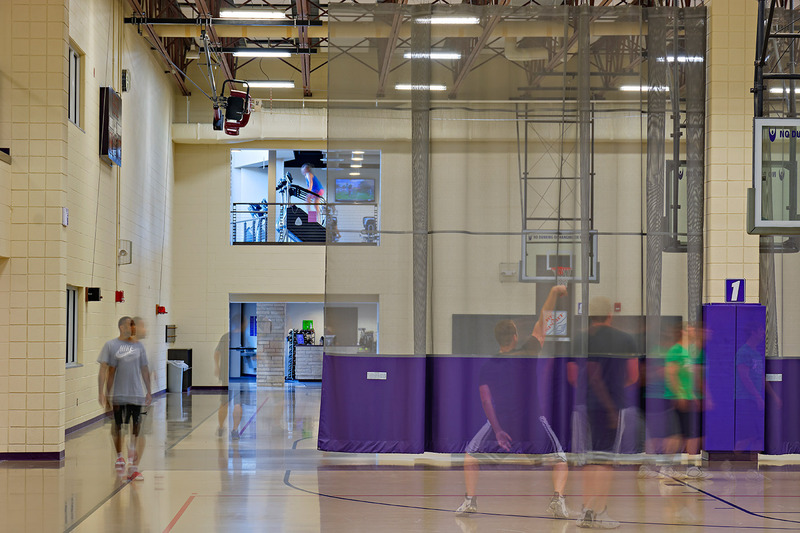 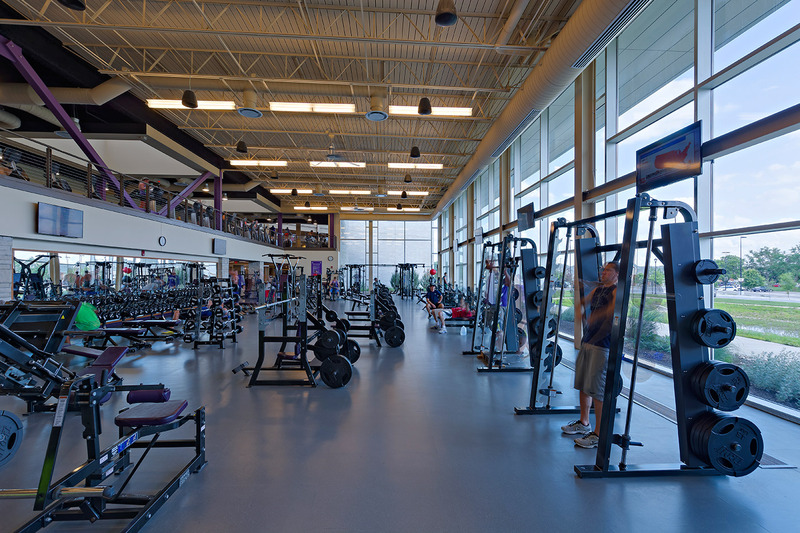 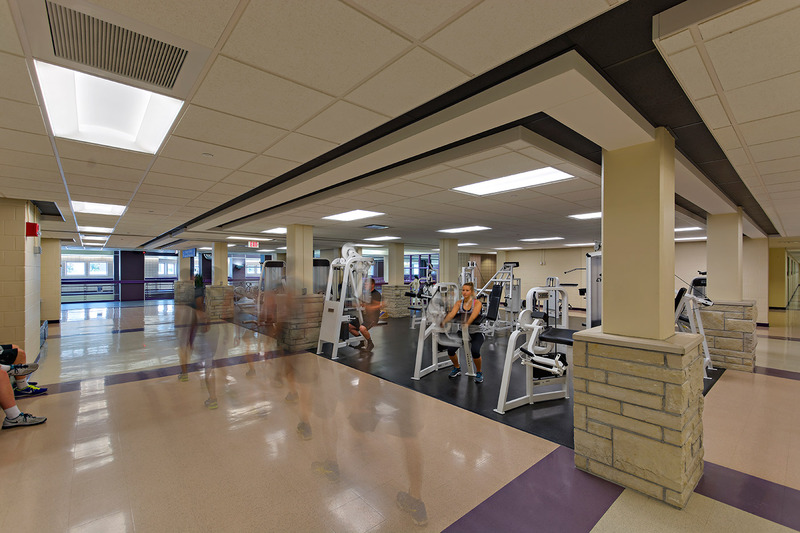 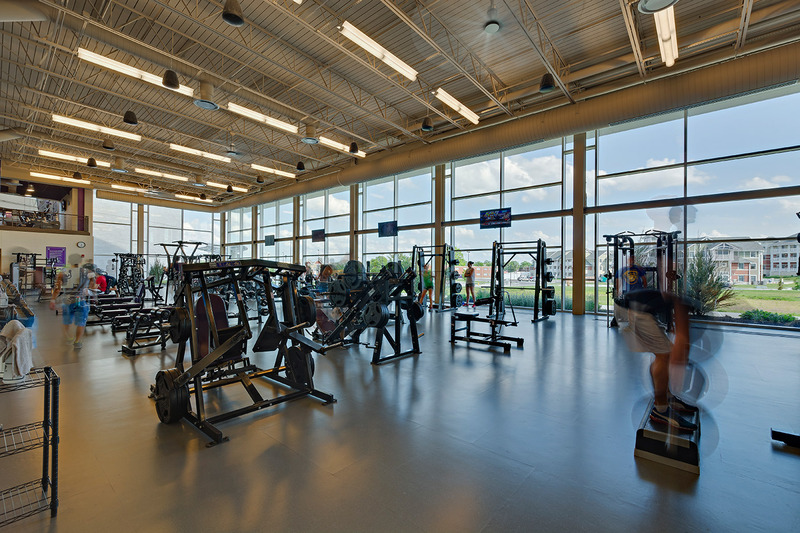 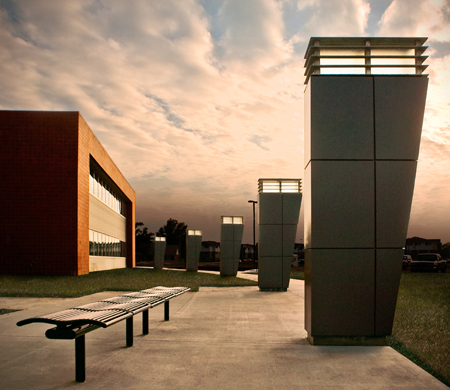 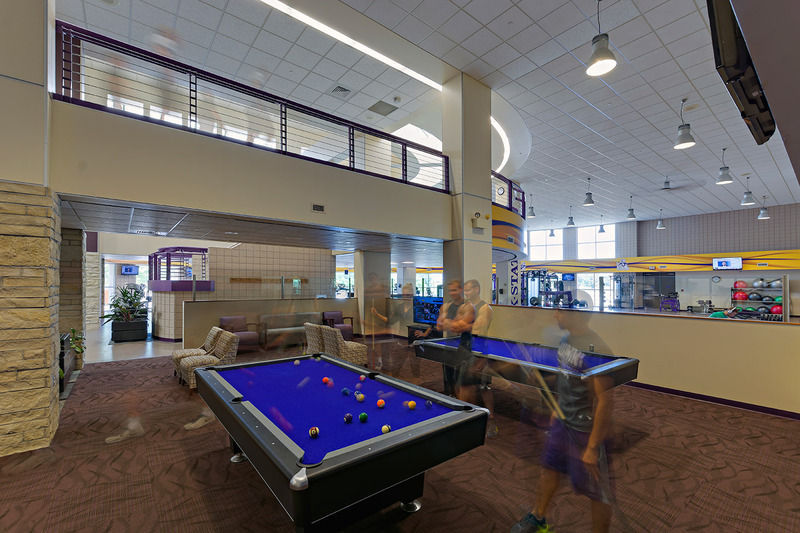 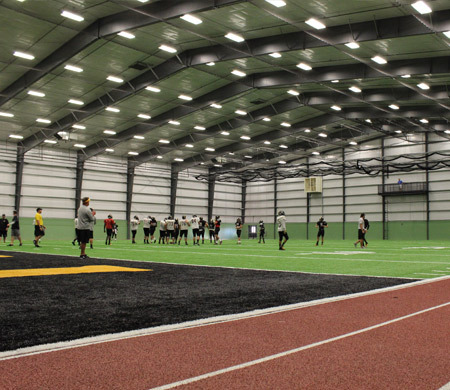 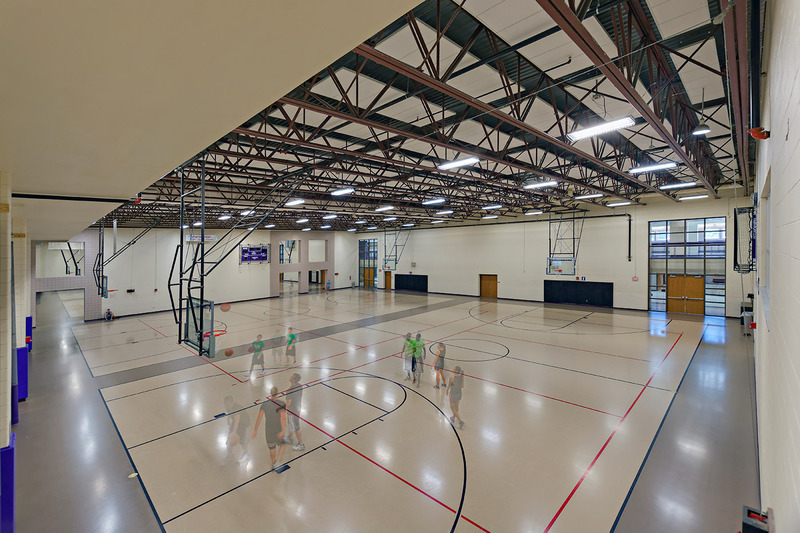 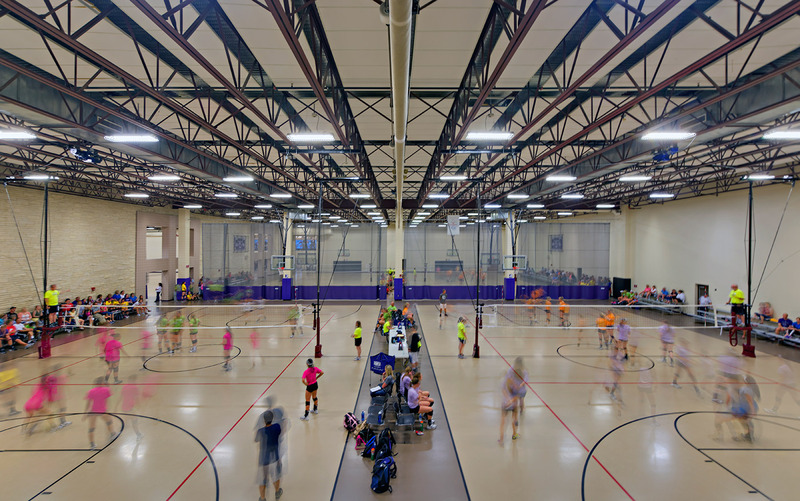 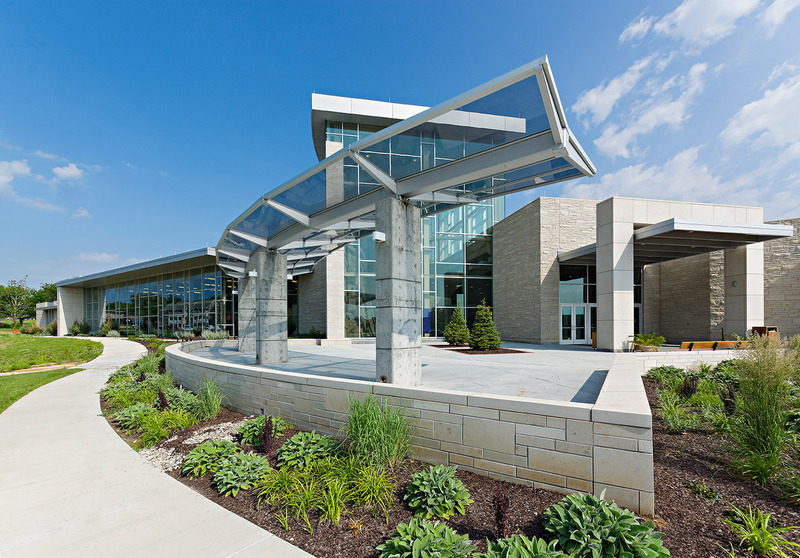 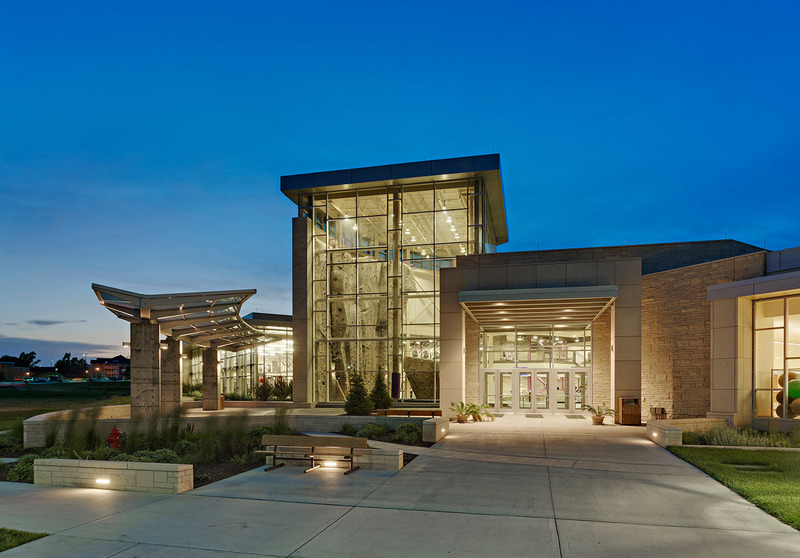 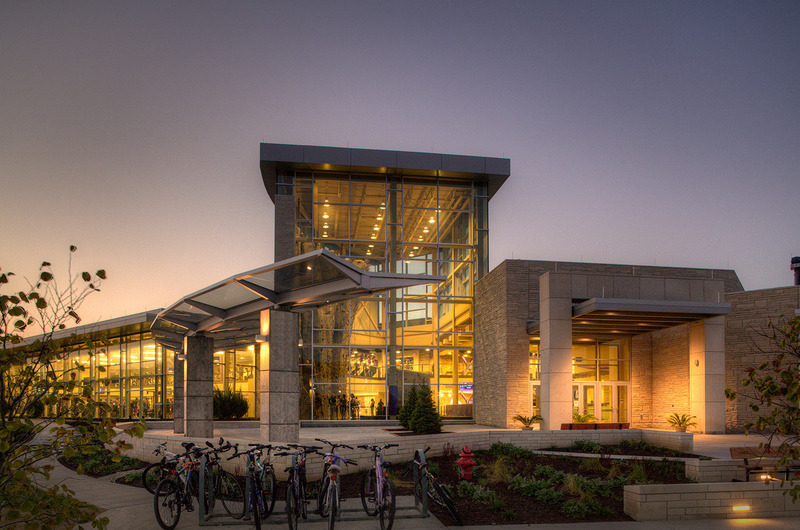 Driven by the increase in the student use of the Peters Recreation Complex and the University’s growth, the design of the Peters Recreation Complex includes an expansion and renovation of the current 170,000 SF facility to provide expanded programming and access to courts and equipment. 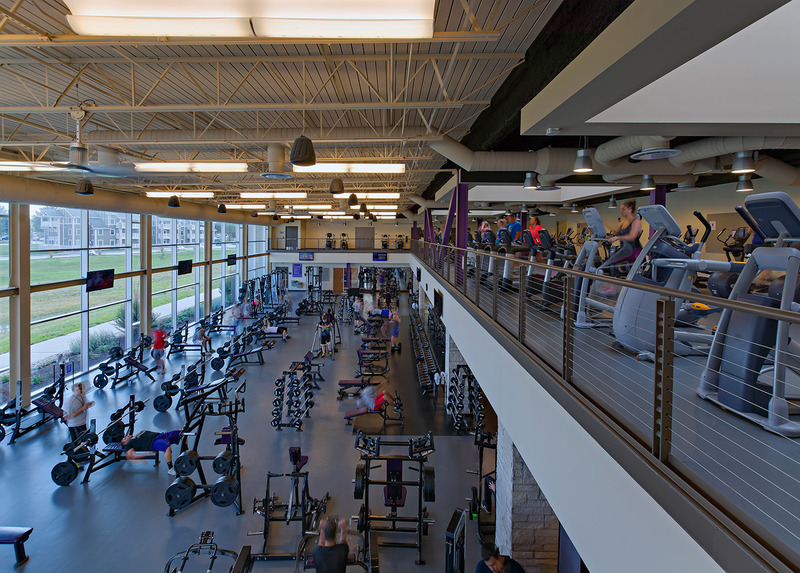 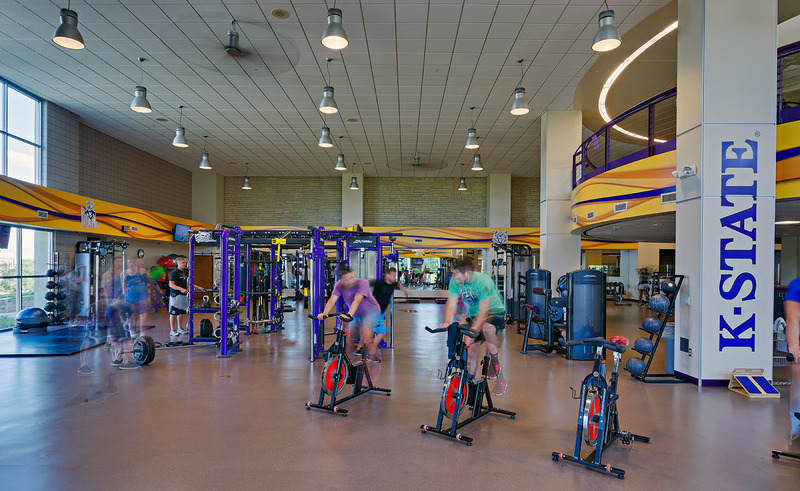 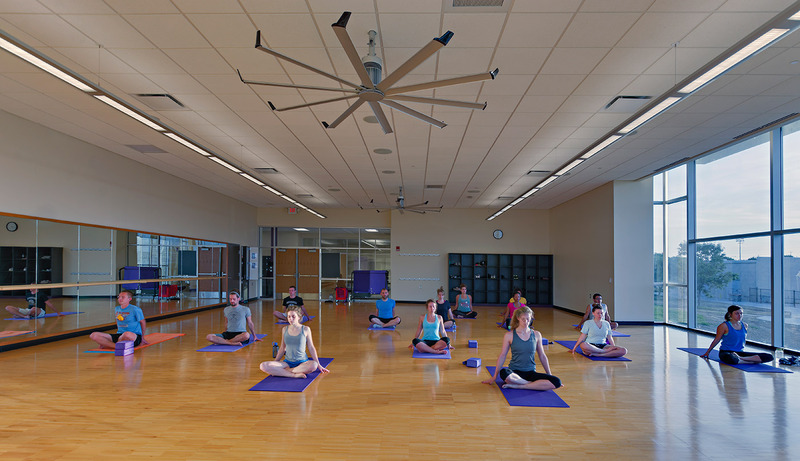 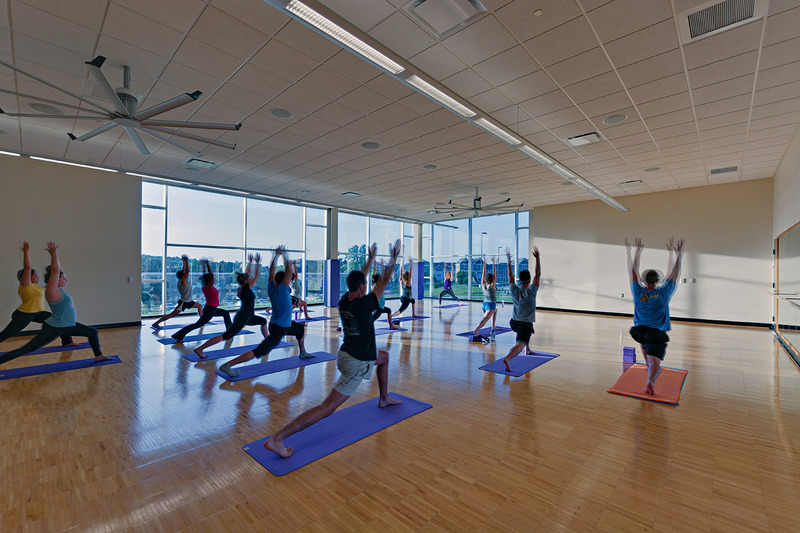 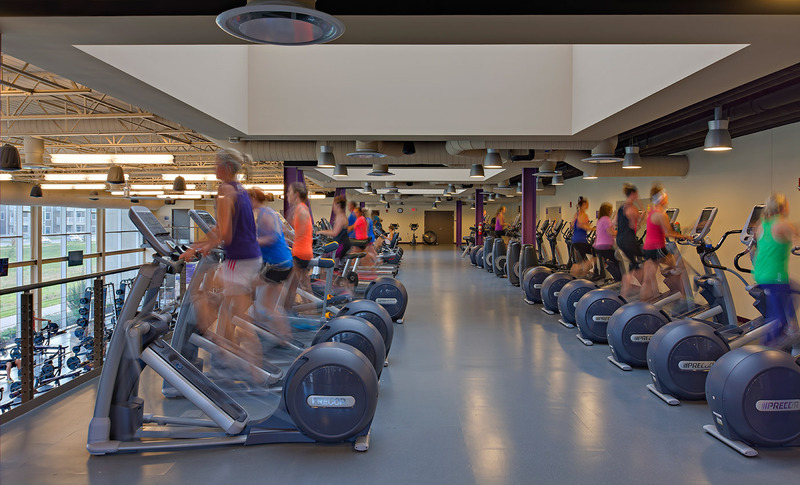 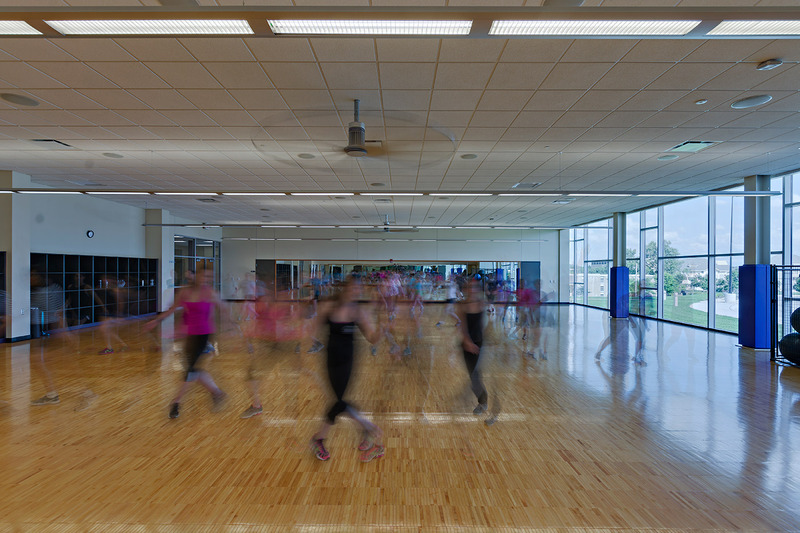 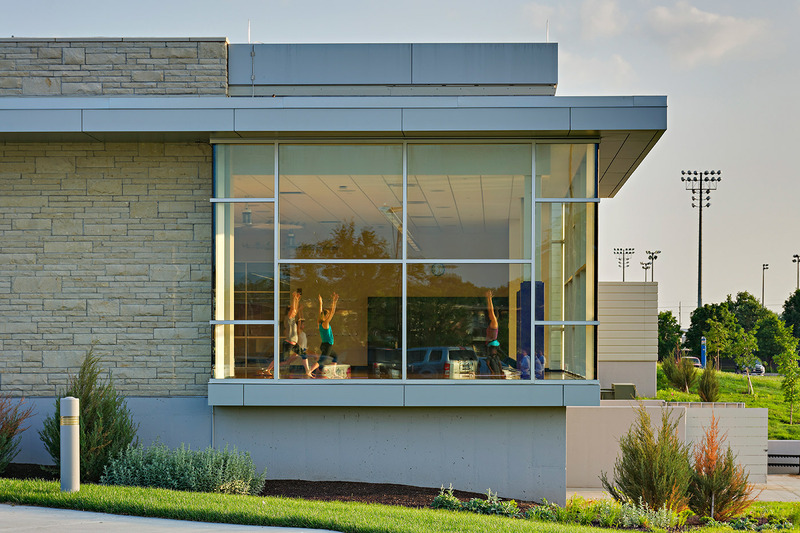 The south expansion includes the creation of a needed entry point from the main campus, an expanded weights program, a spinning studio, an aerobic studio, a combative studio, personal training studios, and an expanded cardio fitness area. 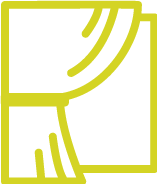 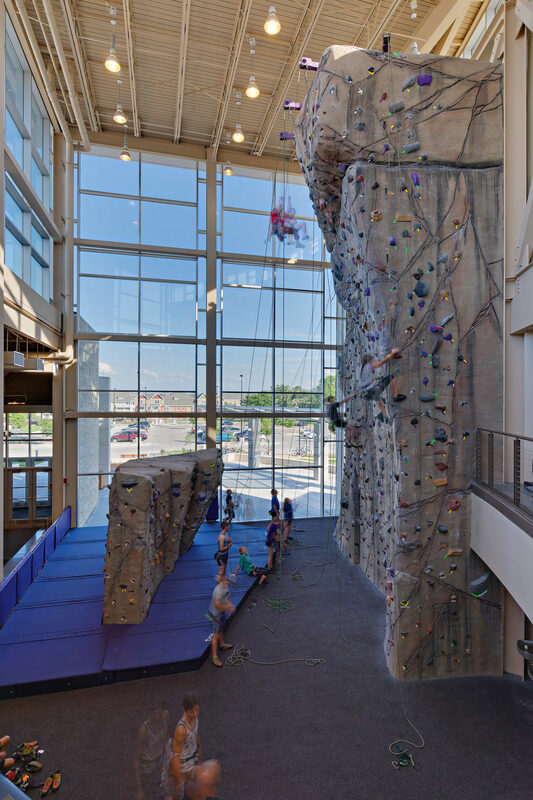 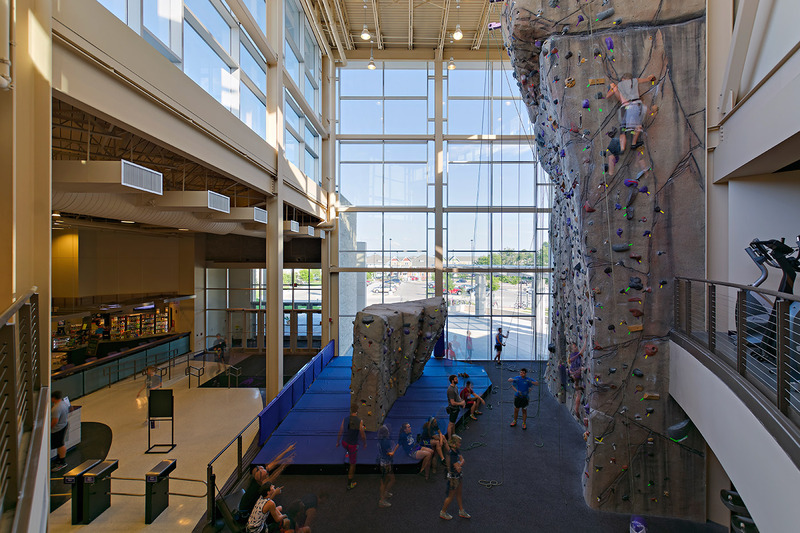 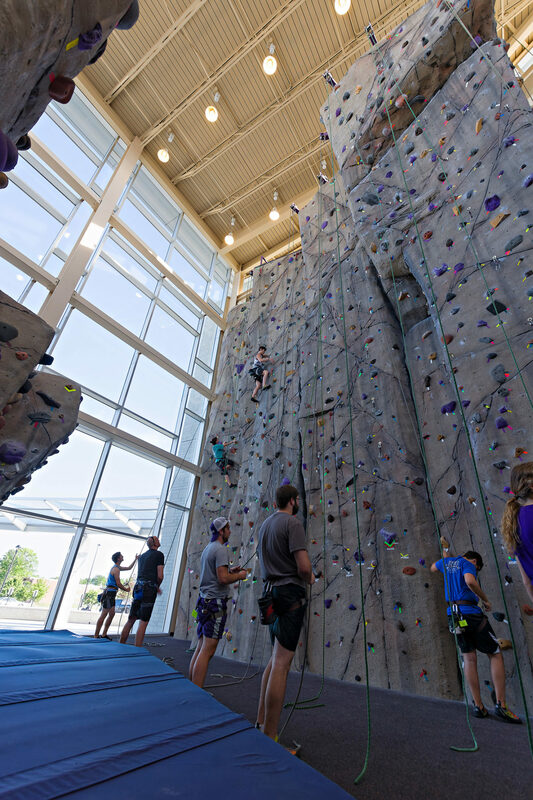 The south entry is strengthened by a 49 ft tall climbing wall designed for all skill levels, which includes a free standing bouldering feature. 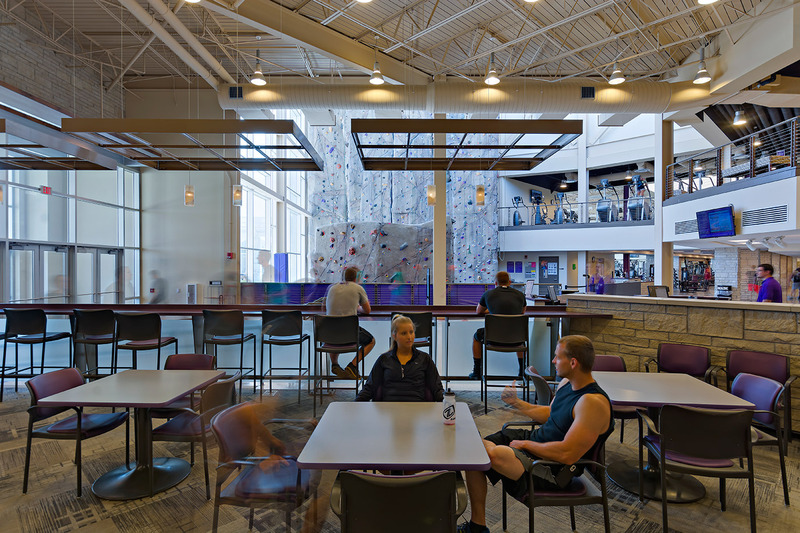 A Juice Bar provides a social component to the Student Center. 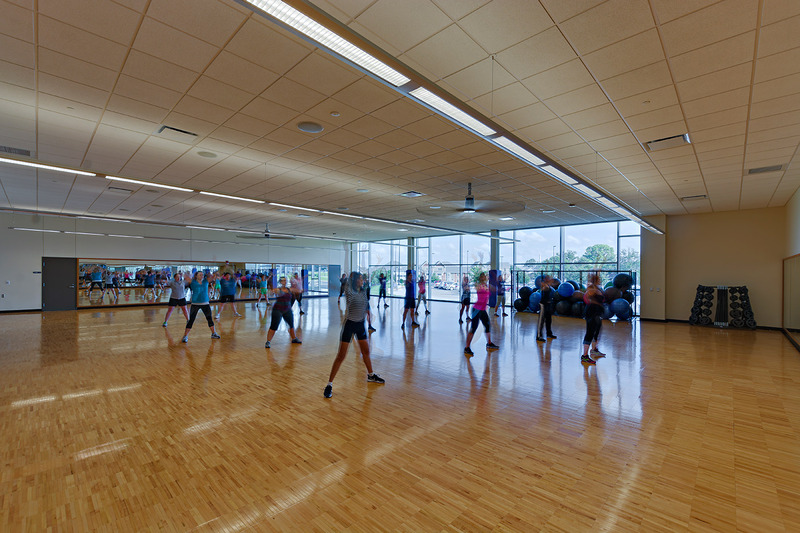 The 2-story southern addition provides transparency and natural light into all of the studios, including the 2-story weights area that is overlooked from a cardio-fitness balcony that features the latest in technology and equipment. 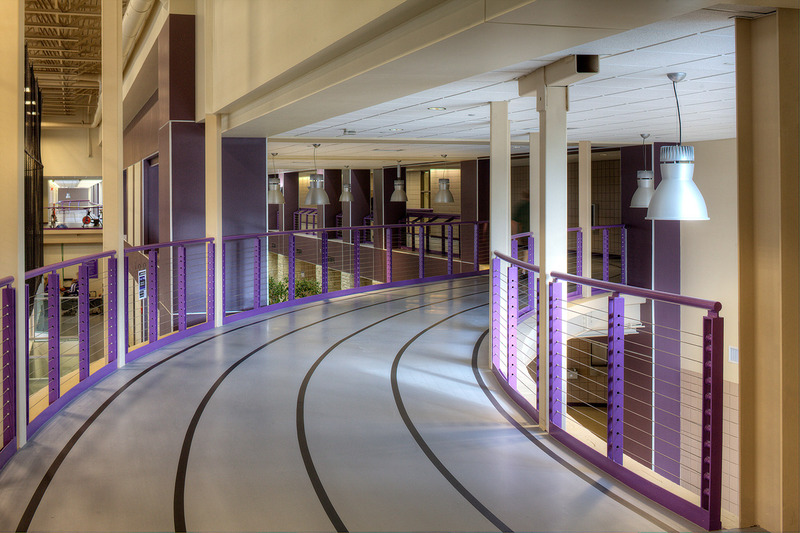 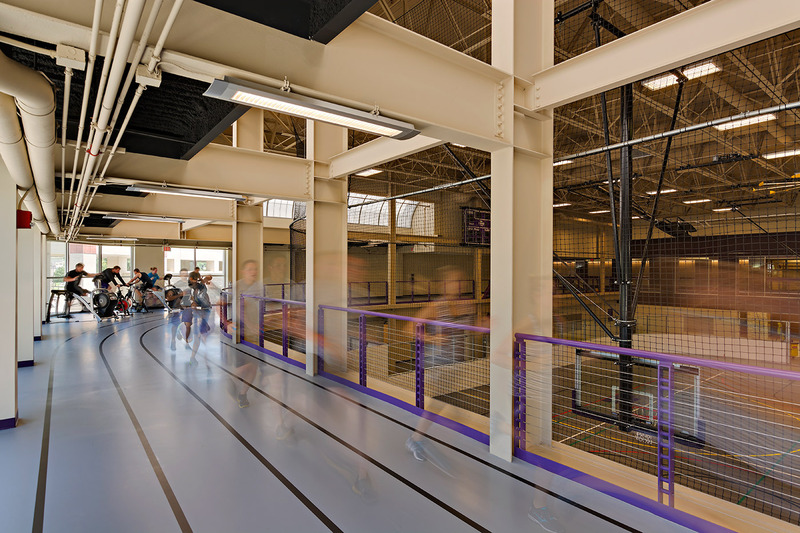 The existing running track is expanded into and around the gym to provide the runner with exceptional length and enhance the running experience.